Aamera’s experiences as a global nomad in 4 countries and 3 continents have led her to a life as a writer-performer. For the past 13 years, she has been a professional actor in Minneapolis, Saint Paul. 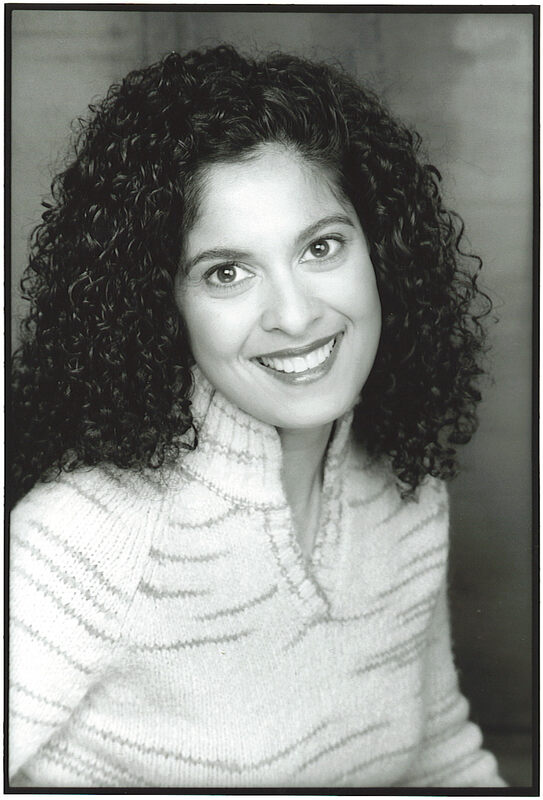 In 2005, Siddiqui was awarded a one year Fellowship with the Naked Stages Program during which time she co-created a performance art piece titled Draw Two Circles which was featured in 2006 at the Women’s Playwrightâ s International Conference in Jakarta, Indonesia. Aamera has been writing customized educational plays that address issues of inclusion, cultural competency and school climate since 2004. From 2006-2008 she was a resident with the Playwrights’ Center’s Many Voices Program. She has written 2 full-length plays: CHUP and ABCD: A Work in Progress. Aamera Siddiqui was a featured playwright at the Asian American Conference in 2008. CHUP is the story of two estranged sisters who come to terms with their relationship after the death of their mother. Having grown up straddling two communities and cultures amidst secrets and taboos, one sister, Saima has chosen to stay close to home and to her traditional Indian-Muslim values while the other has chosen a different path. She has left home, married outside of her faith and left herself open to judgment from her community. CHUP is a story about trying to find love and family in a homeland that will always seem foreign. Saira Bano is a 27-year old South Asian-American woman who is secretly dating her boss. Twenty years ago Saira lost both of her parents in a tragic car accident. From then on, she was raised by white foster parents. Although Saira witnessed her parentsâ death, she has no memories of the accident. One week ago while sitting in an Indian Restaurant Saira took a bite of an aromatic dessert called Shrikand and her life changed. An olfactory reaction to the Shrikand has brought with it her first memories and nightmares of the car accident that took her parents life. Desperate to recall the events of the crash and connect with her past, Saira starts to eat more and more Shrikand and befriends a call center worker in India who calls himself Randy.